Our goal is to provide you with quality, timely and cost-effective healthcare in a pleasant, professional, patient-focused environment. Whether your child has a fever or you have suffered an injury, urgent care appointments are available every day at our clinic. Call us and we will make every effort to see you the same day. Bioidentical Hormones are an exact chemical match to the hormones naturally made in the human body. 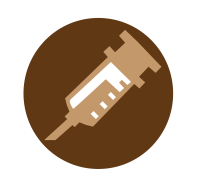 Bioidentical Hormones are prepared by compounding pharmacists and are unique to each patient, designed to be a custom match for the patient’s individual conditions. The hormones used in Bioidentical Hormone Replacement Therapy feature a molecular structure that is identical to that of human hormones, and they are not synthesized or extracted from animal sources. Many of these hormones are made from plants such as wild yams and soybeans, which have unique compounds that are chemically processed and made into replicas that are identical to the hormones produced in the body. The benefit of this therapy is that the body is given the same molecule that it has made naturally for years, instead of giving it something from animal urine or an unnatural substance. Bioidentical Hormone Replacement Therapy is used to help rebalance hormones and eliminate problems with a hormone deficiency. Both men and women can benefit from this therapy. Wimberley Medical Clinic or Ranch Road Family Medicine today to schedule a consultation!